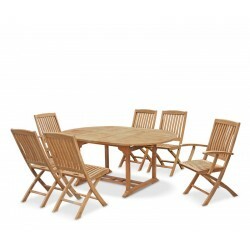 This versatile teak garden dining set is wonderfully practical with folding and extending functionality, comfortably seating six diners. 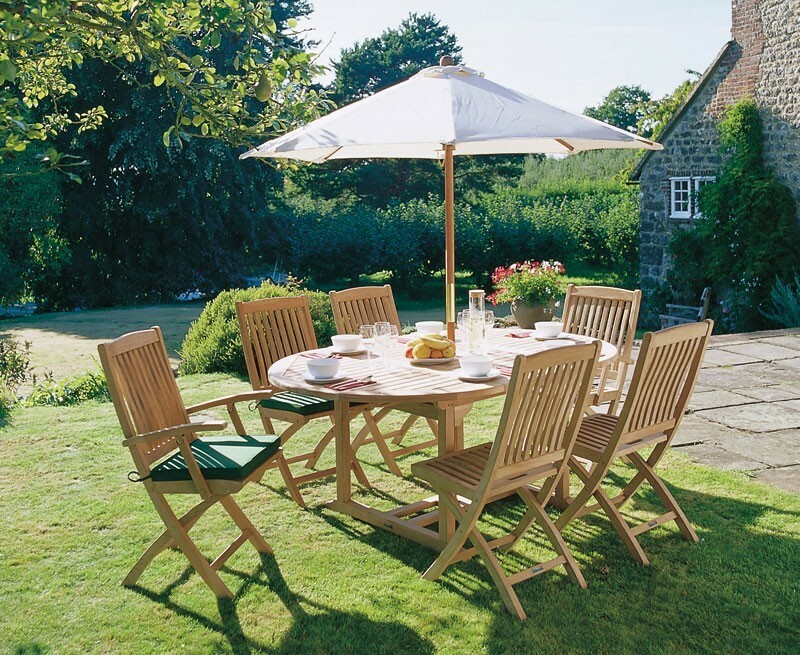 Featuring our extending Brompton table and folding Bali side chairs and armchairs, this six seater garden dining set will create a stunning focal point for your setting that is sure to impress. 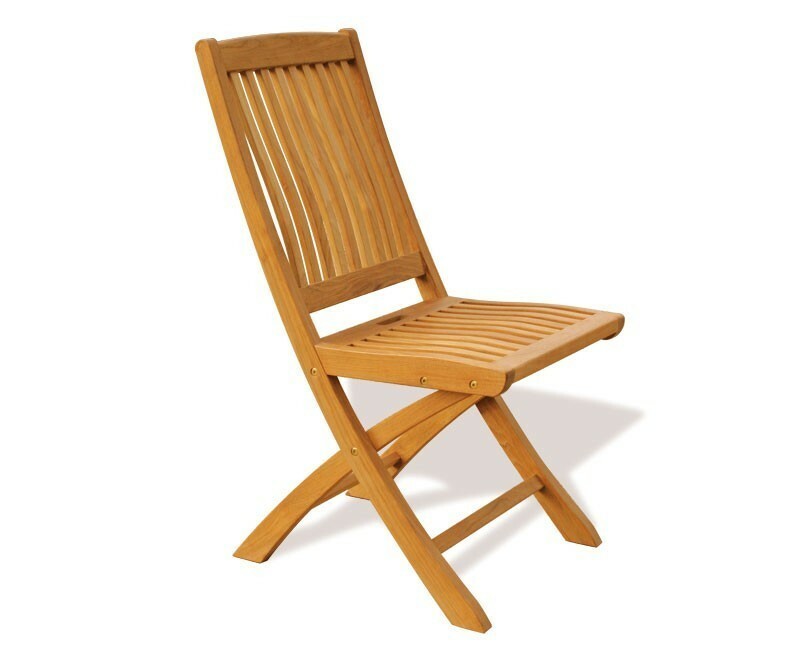 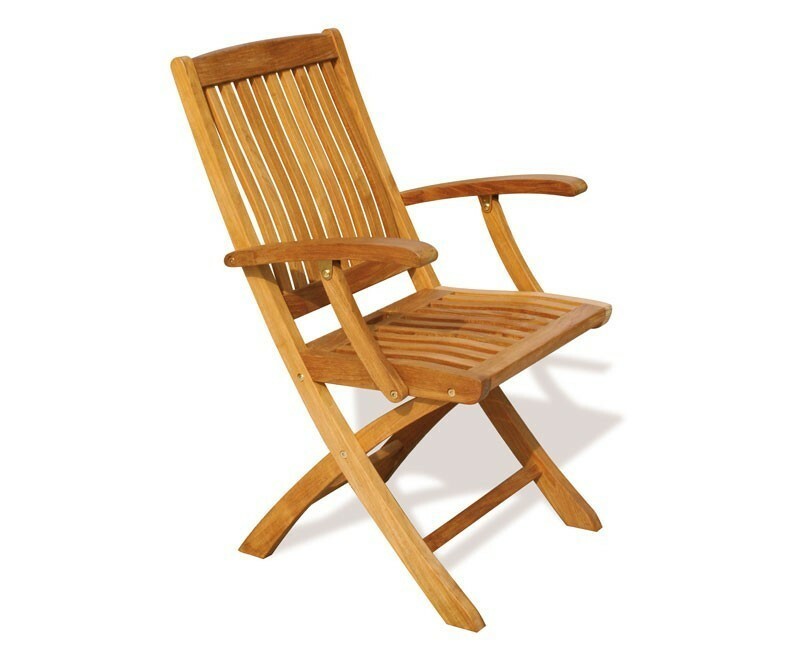 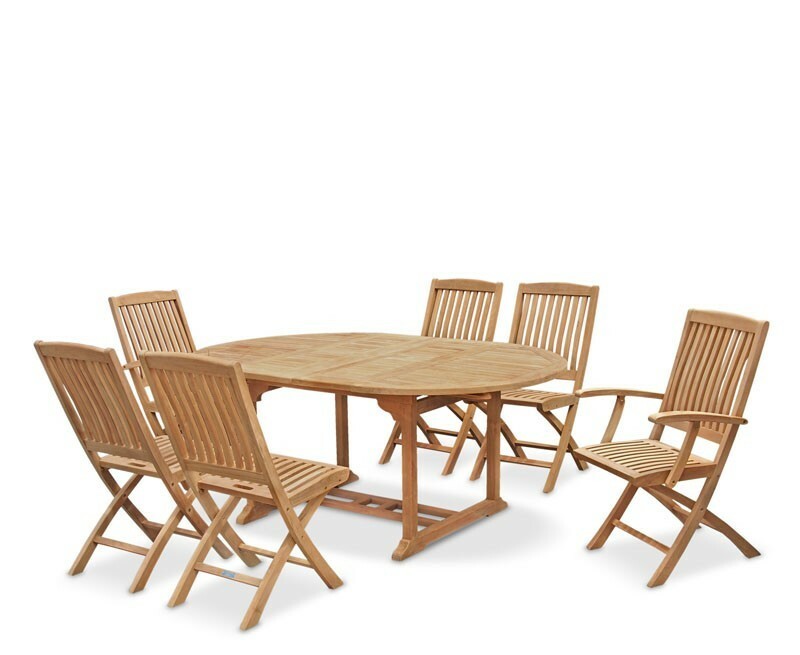 This six seater teak outdoor furniture set has been manufactured from sustainably sourced grade-A teak using traditional, tight-fitting mortise and tenon joints for excellent durability and aesthetic appeal. 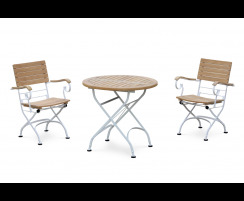 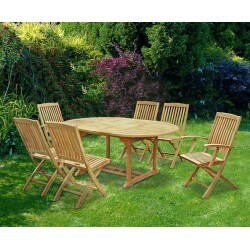 This dining table and chairs set can be left outdoors all year round, even in harsh weather conditions. 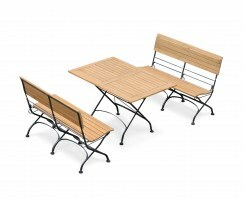 Requiring only minimal maintenance, it will turn from its golden brown colour to a silvery-grey patina if left untreated. The oval garden table can be extended via the clever double-leaf butterfly extension which tidily stows under the tabletop when not needed. 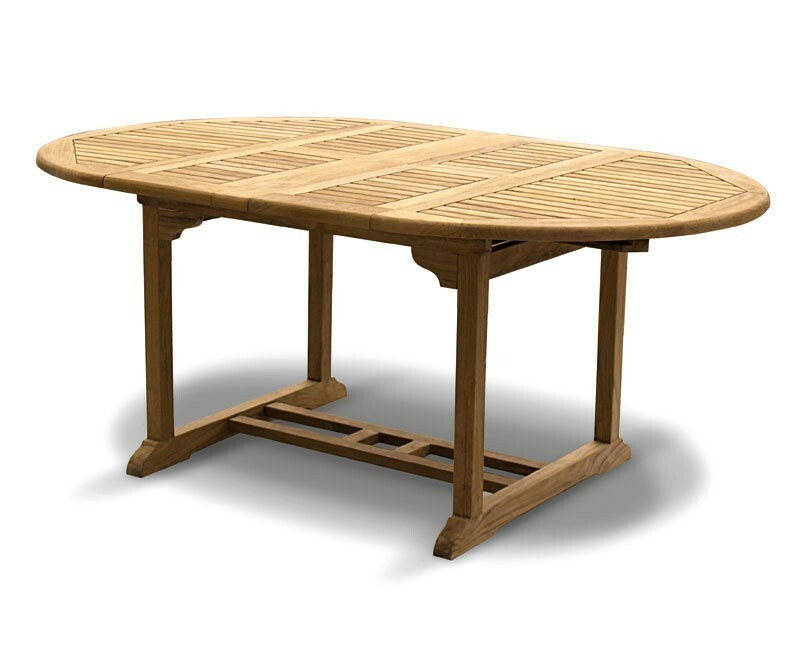 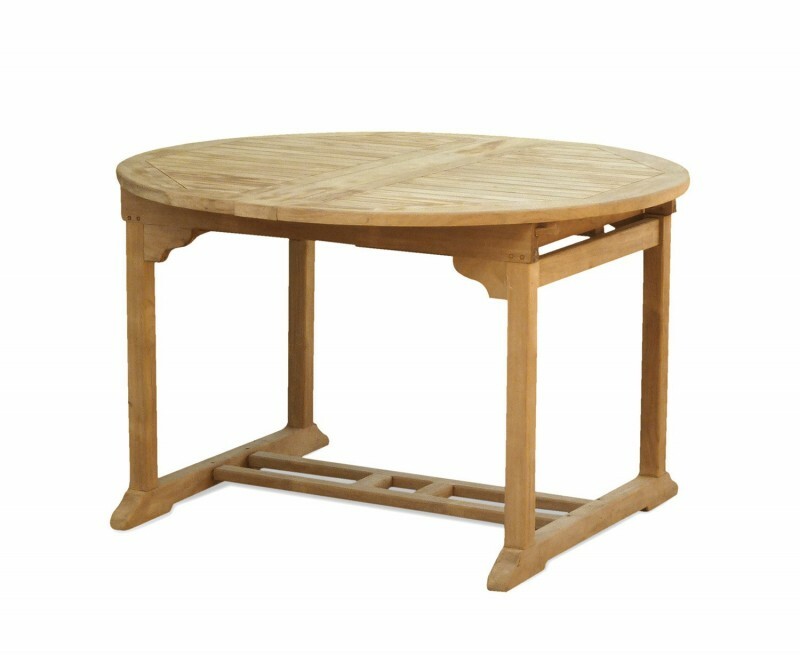 The table features a parasol hole with a flush plug for when a parasol isn’t in use, and radial edges on the slats to ensure your furniture dries off quickly after rainfall. 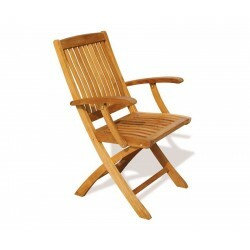 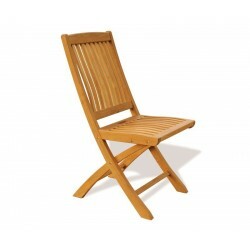 The Bali chairs can be folded away should you wish to reclaim your space. 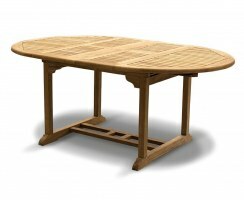 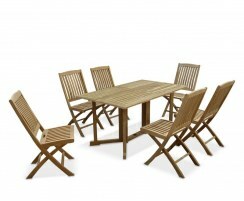 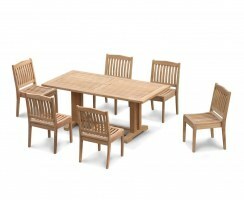 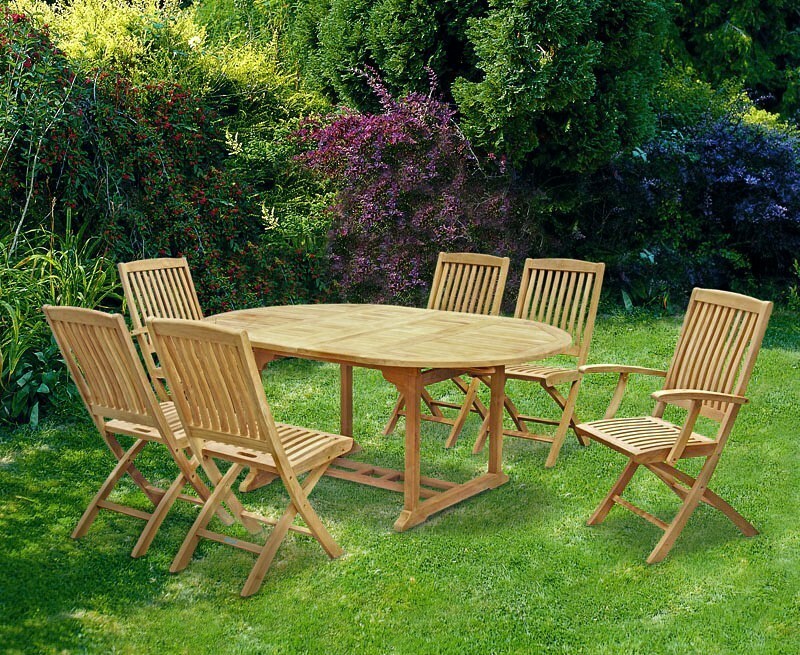 We will deliver this six seater teak dining set to you fully assembled for your immediate enjoyment. 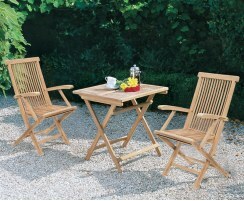 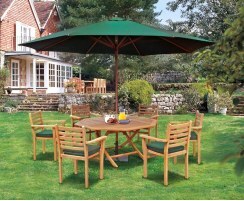 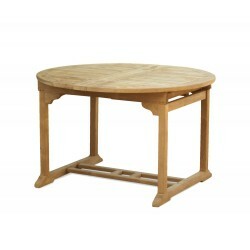 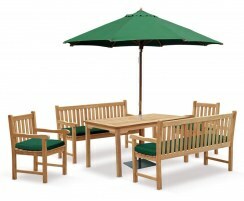 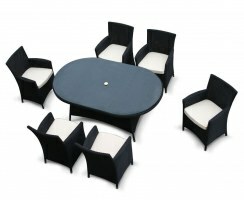 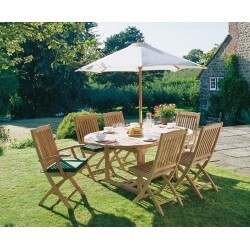 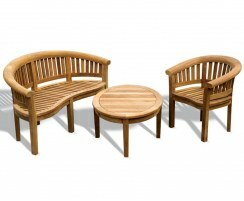 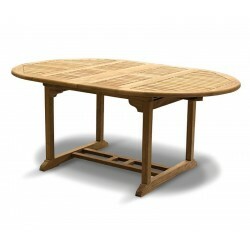 Why not accessorise this garden dining set with cushions and a parasol and base, (not included, available separately).